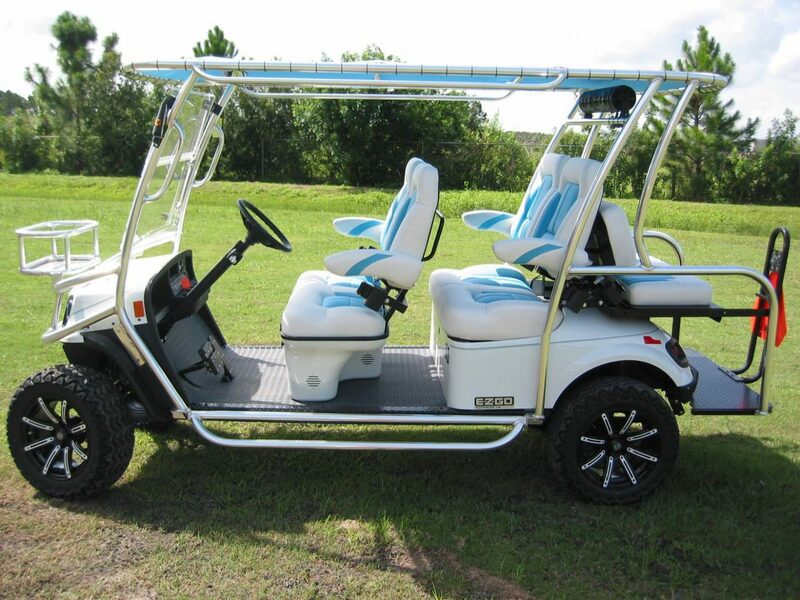 Custom Build – New 2017 EZGO Express L6 gasoline 6-passenger vehicle, color: White, with , factory light package, Brush guard,12V deluxe dual USB, Hinged DOT Windshield, White inserts for Wheels, Bluetooth Speakers, Custom Top/Frame for top, Factory 2yr. limited warranty (see owner’s manual – service calls not covered by EZGO, 90 day warranty on accessories. Stop by and custom build yours today ! !